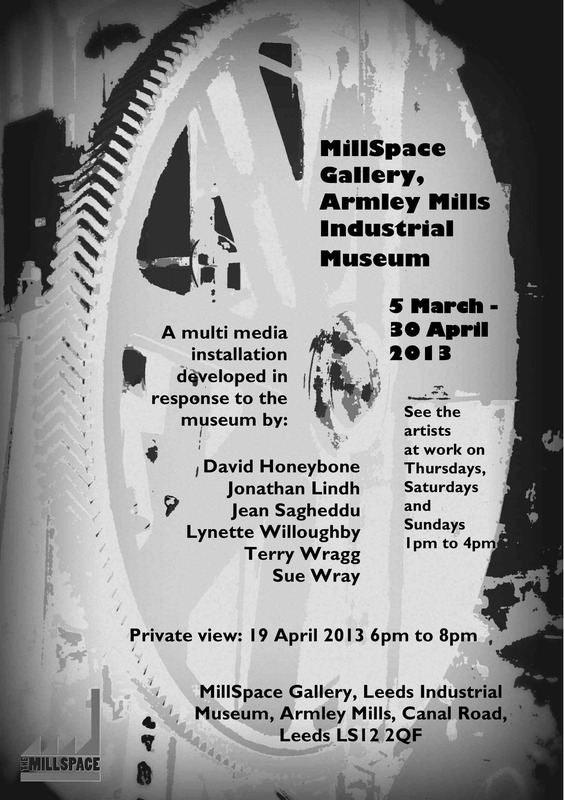 Ghosts Group have been Artists in Residence at Armley MillSpace since the beginning of March producing work in response to the fabric of this amazing building and its extensive contents. In what was once a great woollen mill the installation suggests yarn, spinning and weaving, the power and strength of the machinery now often disused and rusting, a working environment full of noise and choking wool fluff, the endless back and forth of the spinning mule, the massive stone walls and seemingly endless array of windows and the language inherited from this industrial past. Exhibition continues until May 11th.